Cake 'n Knife - Page 5 of 231 - Everyday gatherings through food and travel. 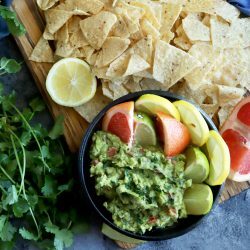 Citrus Guacamole captures the juicy, bright flavors of some of your favorite fruits in a savory dip that brings a burst of sunshine into your mouth. The combination of orange, lime, and grapefruit makes the avocado stand out in a whole new tangy way! If you love guacamole, this is the next one you have to try. 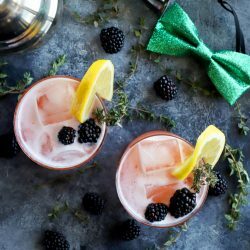 A Blackberry Thyme Irish Whiskey Sour is the perfect way to celebrate spring and St. Patrick's Day, all in one glass! The Irish whiskey makes for a killer pairing for the homemade blackberry thyme simple syrup and sour lemon notes. Forget the green beer, this is what the lucky Irish should be reaching for! 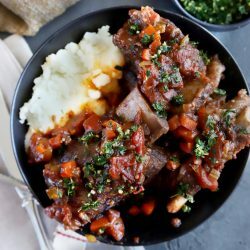 Instant Pot Short Rib Osso Buco is the easy way to make a fancy meal, all in one pot! Using short ribs instead of traditional lamb makes the classic Milanese dish even heartier. Topped with an herbaceous and tangy gremolata, you can bust out an elegant meal in little to no effort. 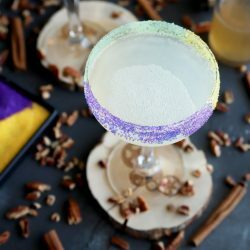 A King Cake Daiquiri is the twist on a classic recipe you need to make Mardi Gras COUNT. With a homemade king cake simple syrup, this refreshing cocktail is light, crisp, and has just the right touch of sweetness. 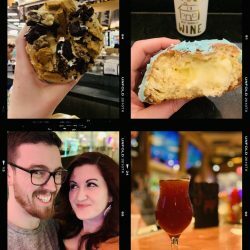 It's a cocktail that screams "laissez le bon temps rouler!"